After the 2012 election, the Republican National Committee took a hard look at our ground game and our field operation to determine where we could make improvements and what we could do better. The Growth and Opportunity Project report, commissioned by Chairman Priebus, offered an honest assessment and provided a number of important recommendations. That included pursuing a community-based field operation, engaging minority communities, harnessing the power of data and new technology, and improving our performance in early voting. Chairman Priebus did not want to tinker around the edges. He wanted us to develop a new Republican ground game from the bottom up to address these concerns. To a large extent, we threw out the old model and built something new–a field operation that was nationwide, neighborhood-focused, more inclusive and data-driven. We also made a commitment to getting low propensity voters to the polls, preferably during early or absentee voting depending on the state. Low propensity voters are people we identify as infrequent voters. Especially in a midterm election, they are not likely to vote. In contrast, if you make it to the polls every election, including non-presidential elections, you are a high propensity voter. Political directors like me don’t really have to worry about you showing up on Election Day. Since last year, we’ve been working at the RNC to identify the low propensity Republican voters who need a little extra encouragement to cast their ballots for our candidates. We wanted to find the people who agree with us on the issues but might not otherwise have voted for one reason or another. The answer is that we’ve already identified that voter as a high propensity voter. She is not only on our side but is clearly committed to voting. We want to make the best use of your time as a volunteer, so we want you to stop at a house of voters who may not remember that there’s an election coming up–or need a reminder that they can vote early. Once you reach that low propensity voter, you report–via smart phone app–that person’s likelihood to vote. You may ask her if she’s willing to sign a card committing to vote or if she would like to request an absentee ballot; you report that information as well. That all goes back to the central data hub that all Republican candidates and committees can draw from, and another volunteer or staffer will follow up with this voter at a later time to make sure she does indeed cast her ballot. This election, Republican turnout in early and absentee voting has increased in many states compared to previous elections. Democrats typically enjoy an early voter advantage; that’s just the way it’s been for a long time. This year, however, we’ve cut into that advantage. In Iowa, for example, we erased their lead entirely for a period–something that had never happened before. We did that by getting low propensity voters–people who otherwise would not have voted–to vote early. In all Senate target states, we identified a total of 2,450,747 low propensity voters to engage early and often. That means that come Election Day, Democrats won’t have the advantage they were counting on, and the traditionally strong Republican turnout among high propensity voters will push us across the finish line. 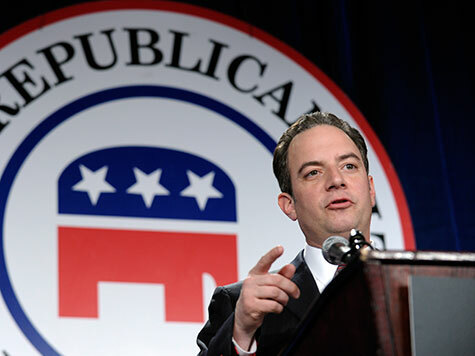 Even after this election, there will be more work to do to improve the RNC’s new ground game. But so far, we’re seeing promising signs–for this election and beyond. Chris McNulty is the RNC’s political director.